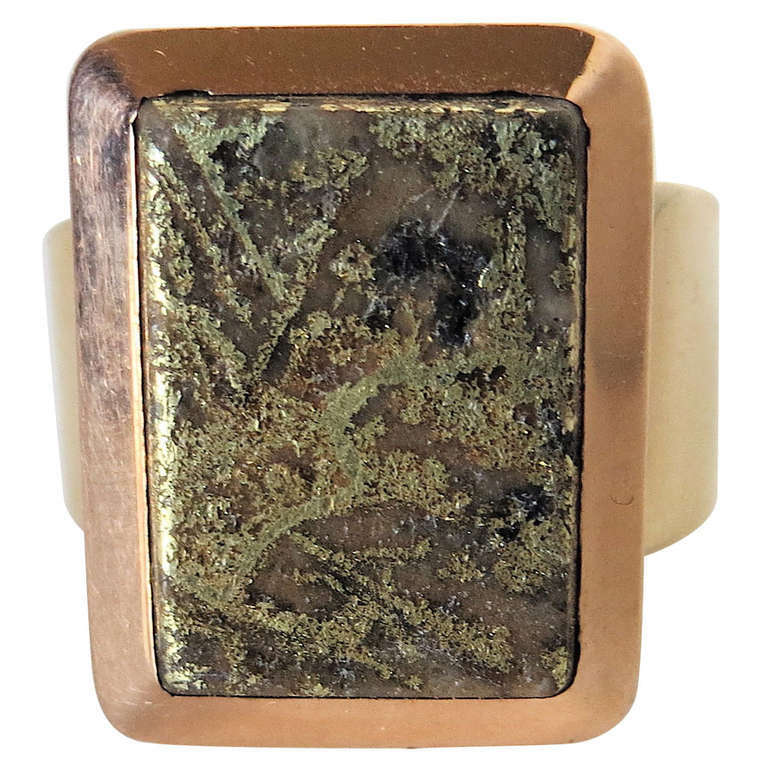 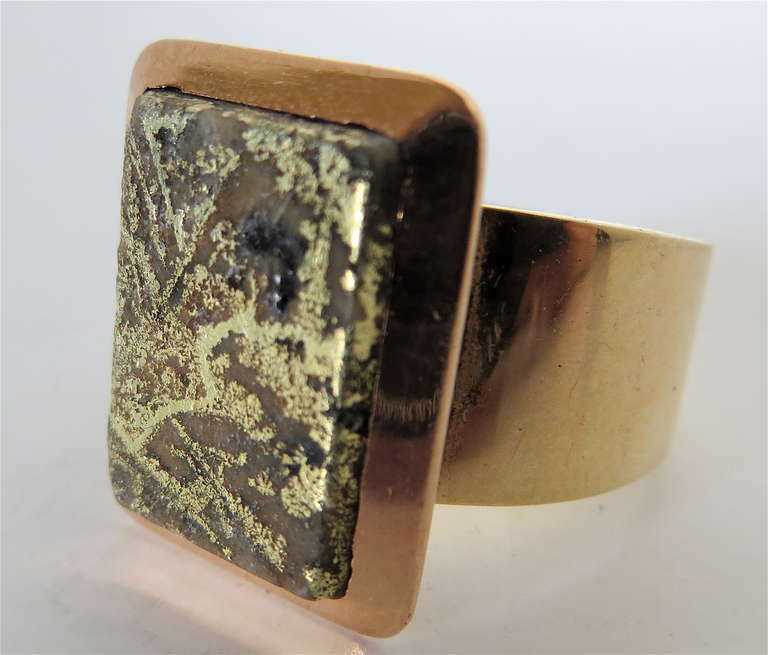 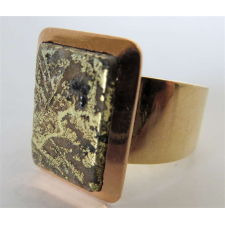 The gold quartz rectangular ring with a beveled 18k gold border is circa 1875, and is mounted on a later (contemporary) 14 k gold band. 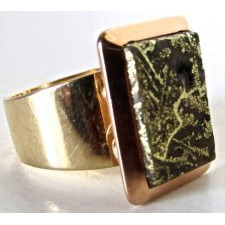 It is a large size man's ring and is very attractive. 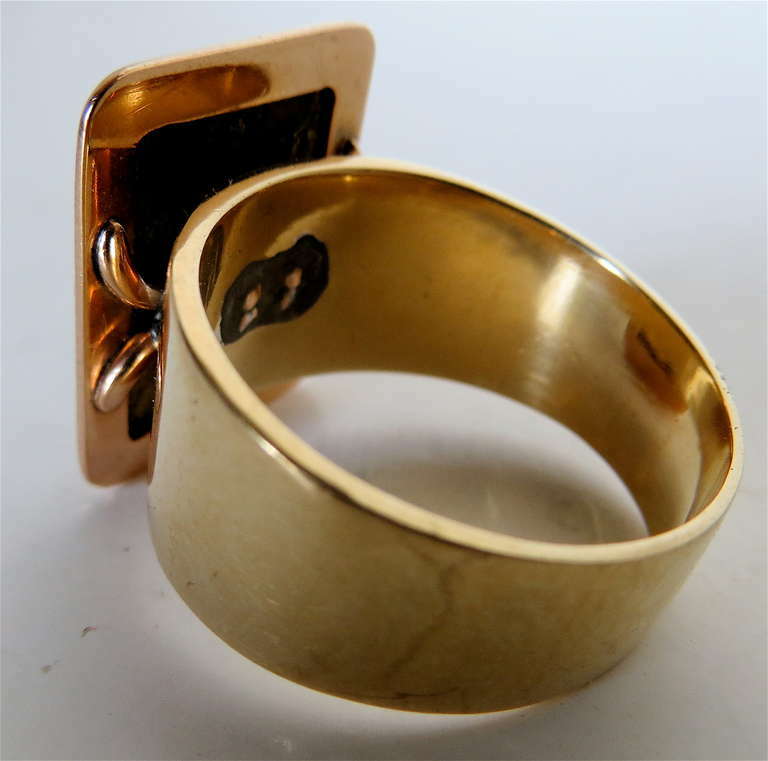 The 14k gold band tapers from 1/2" wide at the top to 1/4" at the apex of the base. 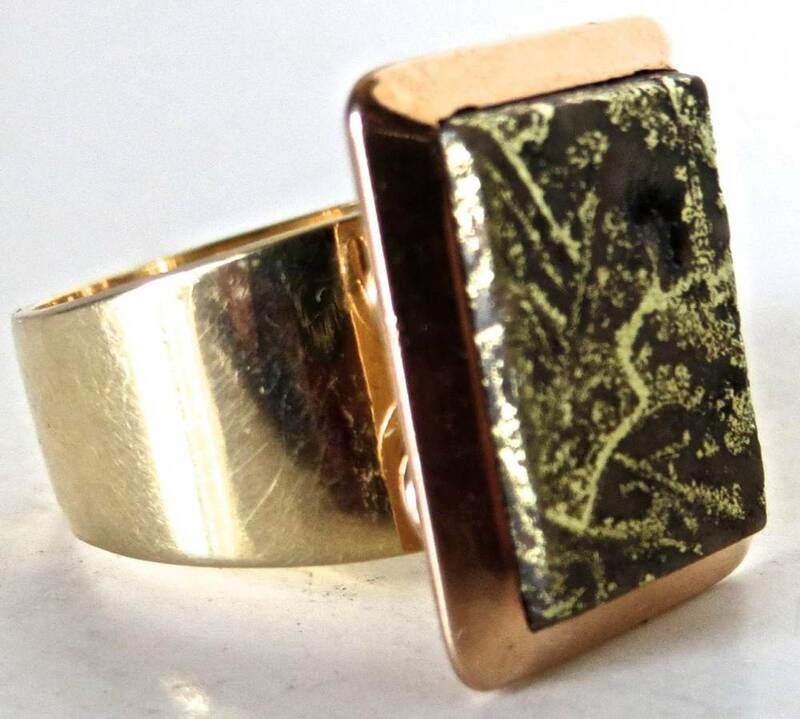 Ring is overall about 1 1/8" high with a 7/8" diameter.